Top researchers, including Temple Grandin, conduct study on the use of ThunderShirt® and its ability to calm dogs. At ThunderWorks, we are committed to finding simple and safe solutions for dog anxiety. 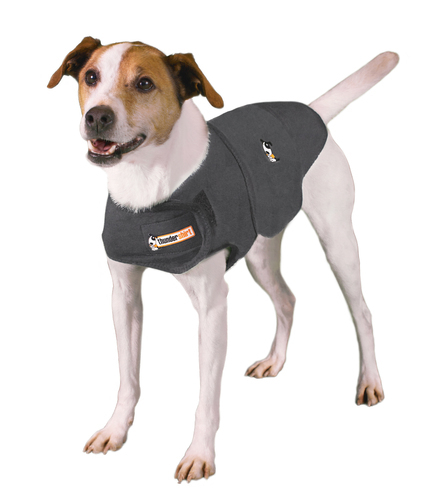 The ThunderShirt is the best solution for dog anxieties caused by thunderstorm, travel, separation and much more. Our new ThunderLeash is now helping us to solve the common issue of leash pulling, by using our innovative hardware that turns this leash into a “no pull” harness. From harnesses, to toys, to treats, we are always looking for simple solutions to help you be a better human to your pet.